What Casino Games Offer The Best Chance Of Winning? Let’s face it, what casino players care about most is how likely they are to score a big win or to make a profit from the game they are playing. As such, one of the most common questions from potential or occasional players is… what casino games offer the best chance of winning? This page will compare the payout percentages of different games and explain as fully as possible which games are better, and worse, for payouts. Find the best online casino to play any of these games in our casino reviews sections. One of the most important factors when it comes to a player’s chance of ending up on top when playing any casino game is the game’s theoretical return to player (RTP) percentage. 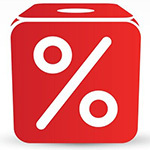 An RTP percentage expresses the average rate at which a game pays out to players as compared to the total amount staked through the game. A 90% RTP percentage, therefore, means that on average a game will return winnings worth 90% of the total amount staked through the game. What should be understood about RTP percentages, however, is that they express how a game works out on average over a very long period of time. They do not guarantee the amount any one player will win in any given session of playing a game. A term closely related to RTP percentages and equally important for online casino players to comprehend and to understand is that of ‘house edge’. When we talk about the house edge what we’re referring to is the mathematical advantage built into every online casino game to ensure that the casino itself will have an assured return in the long term. Online casinos, akin to their land-based brethren, exist in order to make a profit and so must build this house edge into all of their offerings. As we mentioned, house edge is intimately linked to RTP % and in fact can be calculated for a given game by subtracting the game’s RTP % from 100. If a game’s RTP % stands at 90%, for instance, the casino’s house edge will be 10% meaning that they should turn a theoretical profit of 10% from that game in the long term. Why are Some Games Better Than Others? As we mentioned earlier, RTP percentages vary greatly between different casino games and as such, a player’s chance of ending up in profit in the long run is better with some games than others. You only have to outdo the theoretical expectation slightly when it comes to a game with a 99% RTP percentage, after all, to actually end up with more money than you started with. That begs the question, therefore, of why there are these – sometimes significant – differences between games. The answer to that question is one that can get unnecessarily complicated but in the simplest possible terms is due to the nature of the game in question and how it has been built. In the case of slot games, for instance, the relative probabilities of different winning combinations appearing, together with additional winning opportunities presented by bonus rounds help to determine an overall RTP %. For other casino games, meanwhile, things such as the probability of certain numbers appearing (roulette) or certain hands being dealt (blackjack) are the major deciding factors. Which Casino Games Should I Play? Now that we’ve covered how different casino games provide varying RTP percentages, you’re probably waiting for us to point you towards which games you should play for a better chance of winning. Unfortunately, as is often the case, things are not quite that simple as RTP percentages do not guarantee results for anyone other than the casinos. In essence, therefore, which casino games to play is largely down to personal choice. If you did want to factor things like RTP percentage into your decision, however, there are a couple of pointers which such considerations can offer. Keno, for example, is a game which you may wish to avoid playing. That traditional Asian game, after all, typically boasts a much lower RTP percentage than any other type of casino game. If you are most interested in enhancing your chances of winning, too, you may wish to consider employing certain low risk and high reward strategies when playing some casino games. To take roulette as an example, that may mean betting very small stakes on a single number which would still return a huge payout if successful.